Maurice Barrès (19th August, 1862 – 4th December, 1923) has been acknowledged as one of the foremost originators of the French radical Right at the start of the 20th century, and enjoyed huge popularity as an author, political thinker and poet during his lifetime. His fall from the public sphere appears to be due to the difficulty in pigeon-holing his views, due to their richness and radicalism. 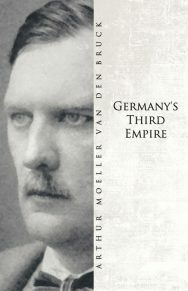 His belief in a form of mystical nationalism, rooted in the cemeteries of dead soldiers (to which many poems were dedicated, composed in an almost religious fervour), the retaking of Alsatian territories, anti-Semitism (later renounced to a degree due to his appreciation of the efforts of French-Jewish soldiers in the First World War) and a national form of socialism, not to mention his republican views which did not preclude sympathy and collaboration with groups such as Action Française, all combined to form one of the most interesting figures in the pre-war French Right. Together with Charles Maurras he was a founder of the concept of ethno-nationalism in France; in addition to this, his symbolist and decadent poetry also led him to become an associate of Gabriele d’Annunzio. What follows below is a translation for the first time in English of part of Book VIII of his 1915–1920 eleven volume series L’Âme française et la Guerre (‘The French Soul and the War’). 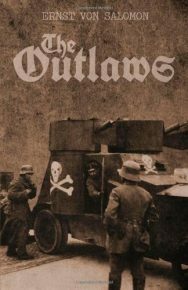 This particular extract is simultaneously a mourning, a homage and a celebration of the bravery of numerous young French writers and poets who were killed in the Great War, many of whom were allied with nationalist, royalist and patriotic groups. As such, extensive footnotes have been provided by the translator (all footnotes are translator’s) to contextualize each name mentioned, wherever possible, in following Barrès’ tradition of a homily to these men, so that their names do not pass into dust unremembered. Of particular interest to the reader may be the style of Barrès’ prose, that conjures up a cult of the military dead, in which the tomb and military medal become the wine and the wafer of this communion. A future essay will explore the roots, complexities and evolution of Barrès’ thoughts and ideas, but for now the reader is invited to immerse himself in Barrès’ words, a heady mixture of homage and fervour, that pulls the dead from their broken graves and muddy trenches and places them on the altar for reverence and example. Did for her own salvation offer of their blood. A poor document, where the author of the Iambes seeks in vain to find the sun of his youth! And yet, under this winter, do you not feel reverie, a meditation which only lacks the heat for it to rise, draw the eyes, raise the souls? murmur the vanquished of 1870, and we, at the hour when I write these lines, after nineteen months of war, have inscribed on the stele of our corporation two hundred and ten dead to the enemy. Under this winter, do you not feel reverie, a meditation which only lacks the heat for it to rise, draw the eyes, raise the souls? Sometimes we have respectfully recognized what source of poetry sprang into the souls of our friends by reading their sacred confidences through death. The portrait that, on the eve of being killed himself, Paul Drouot,5 grandson of the Sage of the Grande Armée,6 drew for us of this other sage, the commander Madelin,7 whom he had just seen die on the battlefield; the notebook of nobility and pain that Marcel Drouet8 bequeathed us by falling under Verdun; François Laurentie’s Journal9 is more austere, and gives us the soul of the Territorial, like Drouet, the soul of the young soldier. Here are texts loaded with experience on which French thought, for years, will make its meditation. Be blessed, my child, who knew how to die well. These teenagers devote themselves to France and death with so much good will that to see them, filled with pain and respect, the most mediocre of us feels transformed. With these radiant children, the spirit rises to a higher existence where only beauty, holiness and glory reign. Earthly life is being depopulated to increase the ideal universe. Young men who had come together to work together on the notion of order suddenly rose to the enthusiasm of the sacrifice: ‘We were forty collaborators…’ writes my friend Jean Rivain;24 ‘[T]hirteen are dead, eleven wounded, three missing.’ And on our great schools of art and science, measure the gaps! The secretary of the School of Fine Arts writes to me: ‘Of our students properly speaking, eighty fell on the field of honour and, beside them, thirty-three aspiring students’; 119 young brothers of Henri Regnault.25 Ernest Lavisse,26 whom I question, answers me; ‘Six grades went directly from the school to the fire, i.e. 293 students: eighty-seven were killed; seventeen have long since disappeared and we have no hope of finding them again; 101 were wounded, twenty-four are prisoners.’ I know a young man who has just received in the trenches his nomination of normalien.27 He is called to replace those who, at the last examination, had passed before him. How strikingly sad is this recruitment of France under the rain of death! Be blessed, my child, who knew how to die well! I should have had to inquire in several ways at the bar, in the faculties, in all the specialist schools, in the colleges, but when the time comes, we will draw it up, this golden book of intellectuals; today, I want only to throw a kind of prayer, a cry, an exclamation of gratitude and wonder as I pass the palace of half-collapsed youth. We admire and we are astonished. Why, in this war, has Intelligence been at the forefront? How has this spirit of sacrifice arisen in the beloved children of the Charities and Muses? Whence comes that, in its worst danger, our country can thus rely on the most unanimous generation it has ever produced? On the day of the victory of Jena, 14th October, 1806,28 Chateaubriand,29 having completed examining the battlefields immortalized by the Tasso around Jerusalem, was awaiting at Jaffa the boat of Egypt; and, innocently celebrating his fatigue, he did not look once to the French army that would enter Berlin. … Baudelaire congratulated Pierre Dupont30 for having been able, with the money from his first book of verse, to escape military service: ‘He is redeemed from slavery by poetry, he wrote. What an honour, what a consolation for having forced the Muse to play a useful, immediate role in his life!’ Without doubt Vauvenargues31 and Vigny,32 all animated by the great feelings of military honour and the proudest independence under the harness of the discipline, are better accorded with the sublime vocations that flourish at this hour around us, but both breathe something austere into the gloom, while a joyous flame, an enthusiastic and clear reason all pervade the writer-soldiers of 1914–1916. Nothing preceding. It is something unheard of that has just appeared in French letters. We love the young Sophocles, at the age of sixteen bathed in azure, when he sings the paean, with a full voice and on the lyre, in the middle of the choir of teenagers, to celebrate the victory of Salamis; but think of the thousand young men, trembling with pride, who, on the 31st July, 1914, grouped themselves in the courtyard of Saint-Cyr; there were the two promotions of Montmirail33 and the Croix du Drapeau; listen! Here they pronounce the famous oath, which one can only admire with all his heart, and that it is also necessary to hate: the oath to go to the fire wearing white gloves, the casoar on one’s head.34 One of them, Jean Allard-Méeus,35 declaims his two poems of youth and of war, and then, fifteen days later, the magnificent child fell at nineteen, his forehead and his heart broken by two bullets. Whatever was beautiful in the world? The adolescents of Plato, the young Christian martyrs, the squires of the twelfth century, waiting for the sacrament of chivalry, Marie-Louise of the Emperor? But today we see the classes of 1914, 1915, 1916, and 1917. Mens agitat molem, mens divinior. Already, under the Dome, speaking in the name of the most illustrious Company that exists in our country, Mr. Étienne Lamy, perpetual secretary of the l’Académie française, praised the writers killed by the enemy, and this year again we will place our crowns on their graves. For their families, the Société des gens de lettres59 has had an admirable medal struck, Credidi, propter quod locutus sum and mortuus: I have attested what I believed by my word and by my death; such is the legend that reads on both sides, struck by Henri Nocq. 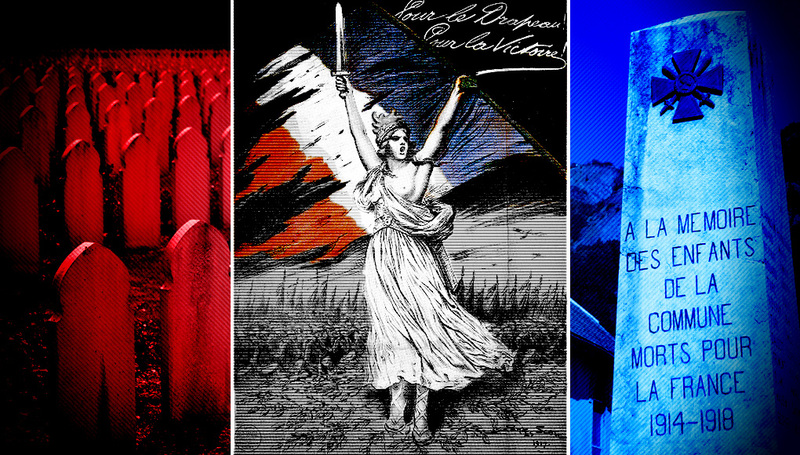 On one side, the Marseillaise by Rude60 calls to France arms by throwing a cry of faith and hope; both arms extended, all in flames, she flies above our 75-gun; on the reverse, Victory sits with the most noble expression of sadness on a tomb and protects it with her large wings. Her head bent, she presses her face on her left hand; it is the familiar gesture of ancient art to represent the thoughtful pain. Her right hand is allowed to fall, holding the immortal crown. On the tomb, an open book, a sword, and a kepi61 characterising the writer-soldier. In the distance, in the background, radiates a cross, symbol of hope. The Muse followed these soldiers; as soon as one of them slips to the ground, she seizes the hero in her divine arms and carries him away among the stars. This serious and charming work will demonstrate to future centuries our piety towards our brothers, but our homage would be incomplete if we neglected to collect and disseminate their works. The Larousse House will publish the Anthologie des écrivains morts pour la patrie. My old League comrade62 Gustave Voulquin had come to talk to me about this idea; Carlos Larron realised it; I accepted the honour of presenting it to the public. 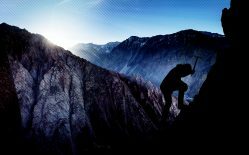 Do we want to believe that these verses and prose that we collect are all equally admirable? No matter! The blooming genius of some completes these others that still had to emerge, and some meditations sketched on the field of battle testify for those who died silently. Each of them has his own drama and figure; yet their sacrifice is common, and not one escapes the admiration with which we surround their holy cohort. To these beginners, to these mixed masters, we resolved to offer the feast they had loved in their lifetime, and, grouped around them in a circle, we look at them, we listen to them, painful and charming figures, who already have become slightly mysterious to us who knew them personally. Half returned in the shadow, these souls gently radiate; purified by death, they are united with the ideal they pursued in our midst. There they are, all our friends, raised to the dignity of exemplars, and living an existence more intense than their first. They loved solitude, beautiful verses, music and glory. When the bells rang, they left this garden concert without hesitation to run to the duty of all, to the simple utility. They adjourned beauty, abandoned poetry, and thought to open a parenthesis in their lives; but the Muse followed them; as soon as one of them slips to the ground, she seizes the hero in her divine arms and carries him away among the stars. Having become the solid core of a cloud on fire; our friends move away calling our dreams. Thus begins a cult. All is not buried in the glorious little cemetery of the Front. The heroes of Debout les Morts!63 covered with the mud of the trenches, painted for me one day, in unforgettable terms, the strength and magnificence of the feelings born on a field of battle: ‘To two beings who together stand shoulder to shoulder with death,’ it said to me, ‘who risked their life for each other, it seems that their two existences are now intertwined, united, have become so confused as to no longer be able to separate from each other…’ The survivors will act faithfully to the locations of the dead and their place, they will be their fellows, their doubles. To the man who, leafing through this obituary, this register in which we inscribe the names of the dead, the day of their glory, and their legacy to posterity, would believe it to be the discouragement of French thought, let us reply that by the virtue of sacrifice comes coronation. 1 Henri Auguste Barbier (29th April, 1805 – 13th February, 1882) was a French poet and playwright. Heavily inspired by the July Revolution of 1830, in which King Charles X was overthrown, his most famous works were a series of poems known collectively as the Iambes (1831) that railed against the evils of the period. Firent pour son salut offrande de leur sang. La Muse n’a pas vu tomber un seul poète. 3 Georges Ducrocq (5th July, 1874 – 29th September, 1927) was a French poet, explorer and writer who travelled to the Far East, the Caucasus, Russian Turkmenistan, Siberia, Mongolia, Korea, Iran and China. His work Matins lumineux was written in 1907. 4 The chasseurs à pied originated in the French Imperial Army as the light infantrymen. During the First World War, each infantry division contained at least one battalion of chasseurs à pied or chasseurs alpin. They excelled in speed and marksmanship. 5 Paul Drouot (21st May, 1886 – 9th June, 1915) was a French poet and writer who was killed during the First World War. The same year of his death, he received the Archon-Despérouses award, a poetry award created in 1834 by the Archon-Despérouses Foundation. He was killed by a shell outside of the church of Notre-Dame-de-Lorette. It is important to note that he insisted on a front-line position, despite the fact that his fragile health could have easily allowed him to serve in a rear-station position. Barrès published a eulogy for Druout in L’Echo de Paris on the 23rd June, 1915. 6 Drouot was in fact the great-nephew of General Drouot, who accompanied Napoleon to the island of Elba. 7 Barrès appears to be referring to Commander Léon Madelin, who was killed on the 8th May, 1915 by a bullet to the throat whilst leading the chasseurs of the 3rd Battalion on a charge at Neuville-Saint-Vaast. Drouot’s heroism during this charge earned him his promotion, which was sadly short-lived. 8 Marcel Drouet (1888 – 4th January, 1915) was a French writer and poet who was killed in action at Consenvoye, Woëvre. His Carnet de guerre contains a mixture of correspondence and reflections upon the war. 9 François Laurentie (24th July, 1874 – 12th January, 1915) was a French historian. He died fighting at Pas-de-Calais. 10 Léopold Latil (10th Mary, 1890 – 27th September, 1915) was a French poet who was described by his friends as being a very tender man, whose letters written between November 1914 and September 1915 were published in 1916 along with letters by his comrades in a collection entitled Lettres d’un soldat. He was firstly shot in the arm the night of his death, and refused evacuation. The second attack on his trench a few hours later would prove fatal. He died near the Navarin farm, just north of Souain, Grande-Est. The ‘brotherhood’ with Maurice de Guérin described by Barrès is not one of blood but of style and spirit. 11 Georges-Maurice de Guérin (4th August 1810 – 19th July, 1839) was a French poet whose work revolved around an almost pagan celebration of nature. He died of consumption at twenty-eight, and none of his works was published during his lifetime. 12 Jean Rival (1895 – 20th July, 1915) was a French writer who was killed at Linge, Vosgues. 13 No information about this individual could be found. 14 Raymond Cottineau (16th January, 1893 – 2nd October, 1915) was a French poet who wrote under the name Jean l’Hiver. A law student in Bordeaux prior to the war, he wrote La beau sacrifice, 1914 whilst hospitalized in Parthenay, which was honoured by the French Academy in 1915. He was killed in action at Hooge. 15 No information about this individual could be found. Searches were made of the French war dead records which contained multiple individuals of this name, however there was no mention of any of these fallen being a writer or poet. It is likely that this information, unlike in Cottineau’s case, was simply not recorded. 16 Michel Pénet (22nd August, 1895 – 29th May, 1915) was a budding French writer and poet who was killed in the trenches at La Harazée. Barrès eulogises him in his 1917 publication Les diverses familles spirituelles de la France. His letters were published posthumously. 17 Louis Vaton (22nd October, 1893 – 1st March, 1915) was a highly-decorated soldier, being part of the Croix du Drapeau (1913–1914, a prestigious military school founded by Napoleon I in 1802) and being awarded the Croix de Guerre for bravery. He was badly wounded in the head at Soultzeran, and he died of his wounds in hospital. It is unknown if his writings were ever published. 18 Military records indicate that no less than twelve people of this name died in the First World War, including a student and a chasseur alpin; however, it is sadly impossible to pinpoint the person to whom Barrès refers. 19 Jacques Brunel de Pérard (16th August, 1893 – 26th September, 1914) was a French journalist and literary critic, who founded the Imperia publication, a monthly magazine dedicated to politics and literature. 20 Roger Couturier (15th October 1897 – 23rd July, 1915) was posthumously awarded the Croix de Guerre for his bravery, dying of his wounds in the ambulance. His dying words were reported as being ‘That my blood serves the victory of France’. His mother collected his letters and diary in a small publication entitled Un soldat de la Grande Guerre. 21 Barrès is here likely referring to those known as ‘men of letters’, as in, educated literateurs. 22 The full title of this publication is La Revue critique des idées et des livres, and was founded in 1908 by Jean Rivain and Eugène Marsan. The ideas of the Catholic-Monarchist group Action Française were highly influential in its writing. 23 Here Barrès is lyrically alluding to the twenty-seven members of the Revue’s staff who were killed in between 1914 and 1918. 24 Jean Rivain (14th November, 1883 – 23rd Mary, 1957) was a French writer and editor of La Revue critique. 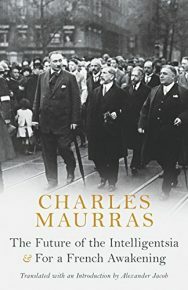 The ideas of Charles Maurras (primary philosopher of Action Française) and of Italian Fascism influenced him profoundly. 25 Henri Regnault (31st October, 1843 – 19th January, 1871) was a French painter in the Orientalist movement. Again, the brotherhood Barrès alludes to is one of artistic lineage rather than blood. 26 Ernest Lavisse (17th December 1842 – 18th August, 1922) was a prominent French historian specialising in both modern history and the Holy Roman Empire. 27 The normalien indicates a student or alumnus of the ‘Normal’ schools, often teachers in training of civil servants. 28 The battle of Jena on the plateau west of the river Saale was fought between Napoleon I and Frederick William III of Prussia. The Prussian army suffered a comprehensive defeat. 29 Françoise-René de Chateaubriand (4th September 1768 – 4th July 1848) was a French historian, politician and writer, and is recognized as the founder of French literary Romanticism. 30 Pierre Dupont (23rd April, 1821 – 24th July, 1870) was a French poet and song-writer, and was exiled from France for seven years due to his becoming the poet-laureate of the French socialist cause. 31 Luc de Clapiers, Marquis de Vauvenargues (6th August, 1715 – 28th May, 1747) was a French moralist and writer was a friend of Voltaire, whose aphorisms received posthumous fame in the 19th century. 32 Alfred de Vigny (27th March, 1797 – 17th September, 1863) was a French poet and playwright, who became a foremost voice in the field of French Romanticism. 33 This refers to the battle of Montmirail (11th February, 1814) fought by Napoleon. The relevance here is unclear, but may allude to the battle being used in military mythology for propagandist and motivational purposes for new recruits of the Military School of Saint-Cyr. 34 This also refers the white gloves and a type military hat, upon which white feathers hang down. The reference to the Croix de Drapeau is important here as the ‘Oath of 1914’ was taken by those who were part of this military school, wearing white cloves and casoar hat. 35 Jean Allard-Méeus (23rd November, 1891 – 22nd August, 1914) was a French poet and officer in the Military School of Saint-Cyr, who promoted the Croix de Drapeau and the Montmirail. He was also a member of Action Française, and a promoter of the French retaking of Alsace and Lorraine, about which he dedicated on of his poems. He was killed in action at Pierrepont. 36 André Peraté (11th February, 1862 – 30th September, 1947) was a prominent French art historian and curator of the Versailles Museum. 37 Grognard was a slang term for an old soldier, originating in the Imperial Guard of Napoleon I, 1804. 38 This is a confusing turn of phrase, possibly meaning that the old soldier speaks over his shoulder. 39I.e. he grognard’s generation . 40 A troueé is a pass, and Barrès may here be obliquely referring to the Battle of the troueé de Charmes, an offensive fought between the 24th and 26th August, 1914 between French and German forces which the French won. 41 Charles Péguy (7th January, 1873 – 5th September, 1914) was a French poet and essayist. Initially dedicated to socialism and nationalism, he became a practicing Roman Catholic in later life. He died from a bullet to the head near Villeroy. 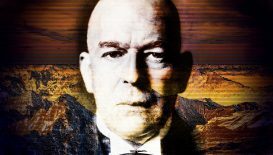 42 Ernest Psichari (27th September, 1883 – 22nd August, 1914) was a French author, soldier and religious philosopher. Having converted to Catholicism in 1913, he was killed the following year at Rossignol during the Battle of the Frontiers, defending the position of French gunners between the German lines and the Semois River. 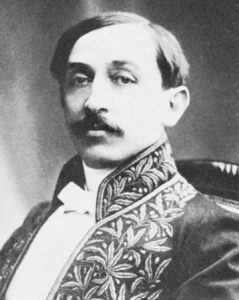 43 Léon de Montesquiou (14th July, 1873 – 25th September, 1915) was a French aristocrat, royalist, nationalist and essayist. Having adopted the royalist cause in 1901, he became heavily involved in Action Française and grew to play a leading role within the group. He died at Souain whilst leading his section on an assault on German lines. 44 Guy Granier de Cassagnac (26th December, 1882 – 20th August, 1914) was a French journalist, novelist and playwright, son of noted Bonapartist, political journalist and duelist Paul Granier de Cassagnac. He died in combat at Fonteny. 45 Pierre Leroy-Beaulieu (25th September, 1871 – 17th January, 1915) was a French writer and politician, and the son of noted economist Paul Leroy-Beaulieu. A captain of the artillery reserve, he was wounded in the head by a bullet and later died of his wounds in hospital. 46 Joseph Lotte (18th February, 1875 – 27th December, 1914) was a French Catholic writer, who founded the Bulletin des professeurs catholiques de l’Université in 1910. He was also a friend of Charles Péguy. He died in combat at Blangy-les-Arras. 47 Lionel des Rieux (20th November, 1870 – 27th February, 1915) was a French poet of the Romanesque school. A close friend of Charles Maurras, he joined Action Française around 1900 and contributed to its periodical. He was killed in battle at Neufchâteau. 48 Pierre Gilbert Crabos (14th June, 1884 – 8th September, 1914) was a French journalist, critic and writer dedicated to the Royalist movement. He was involved in the Cercle Proudhon which formed in 1911, with the aim of bringing revolutionary monarchist, nationalist and syndicalist thinkers together in order to convert them to the neo-Royalist cause. A disciple of Charles Maurras, he was a member of Action Française. He died in the defence of Vitry-le-Françoise. 49 No information regarding this individual could be found. 50 Émile Despax (14th September, 1881 – 17th January, 1915) was a French poet who also held posts such as secretary to the Minister of the Colonies and the chief-of-staff to the Governer of Indo-China. He was killed in combat at Moussy-sur-Aisne. 51 Jean-Marc Bernard (4th December, 1881 – 9th July, 1915) was a French poet and member of Action Française. He died in battle. 52 Charles Dumas (1881 – 7th November, 1914) was a French writer, killed in action. No further information could be found. 53 Charles Perrot (1887 – 13th October, 1914) was a French writer, killed in action. No further information could be found. 54 André Lafon (17th April, 1883 – 5th May, 1915) was a French author, and the first laureate of the Grand prix de littérature de l’Académie française in 1912. Through his work as a military ambulance manager he contracted scarlet fever and died in hospital. 55 Henry du Roure (19th August, 1883 – 21st September, 1914) was a French Catholic writer and secretary general of the Le Sillon movement created by Marc Sangnier. 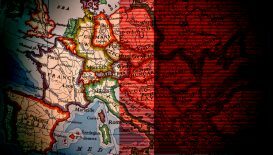 Le Sillon aimed to bring Catholicism in line with French Republican ideals to prevent the spread of Marxism and anti-clericalism. Founded in 1894, it dissolved in 1910. Du Roure was killed in action at Limey. 56 No information on this individual could be found. 57 Henri-Alban Fournier (3rd October, 1886 – 22nd September, 1914), known by the pseudonym Alain-Fournier, was French writer. He authored one book, Le grand meaulnes (1913) which is considered to be a classic of French literature. He was killed one month after joining the army, near Vaux-lès-Palameix, and his body remained unidentified until 1991. 58 A cenacle refers to a supper room, typically associated with the Last Supper, but it also refers to a coterie of writers. 59 The Société des gens de lettres is a French writers’ foundation established in 1838 by Victor Hugo, Honoré de Balzac, Alexandre Dumas and George Sand. 60 François Rude was an artist who sculpted the La Marseillaise relief that can still be found on the Arc de Triomphe. 61 A kepi is a French military cap. 62 Barrès is here referring the Ligue des Patriotes, a nationalist League founded in 1882. It was dissolved in 1899 but was reformed in 1914 with Barrès as its leader. 63 Debout les Morts! was a short film made in 1916, directed by André Heuzé. It is apparently based on a novel by Spanish author Vicente Blasco Ibáñ, however I have been unable to locate title of this work.